We have been recently Certified as an ISO 9001:2008 Organization which proves the quality with which we serve our clients. Leveraging on our industry experience of 21 years, we have been recognized as a distinguished trader and supplier of Workshop, Industrial, Wood-Working & Press Metal Machines. Our comprehensive assortment includes Press Metal Machines, Industrial Machines, Lathe Machines, Work Shop Machines and Tool Room machines. 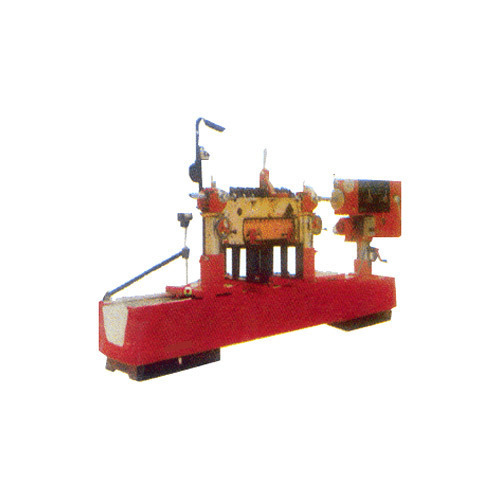 These machines are procured from the most reliable vendors of the market, who use quality raw material in the manufacturing process. Features for which our products are appreciated are power efficiency, reliability and excellent performance. The offered products are kept under strict vigilance before the final dispatch by our quality controllers, to ensure that these are flawless. Our clients can avail these products by easy and simple payment modes like Cheque, DD and LC. We have a spacious and capacious warehouse that helps us in the systematic storage of our products. Due to the consistent efforts of our diligent team of professionals, we have occupied a formidable status in the market. The premium quality of our products have enabled us in mustering a huge clientèle across the nation.